This White Powder Gold was made using a variation of the John Hudson method with Extra Exrta Fine Quartz White Sand, Organic Dolomite Lime, and reconstituted Dead Sea Salt Water. 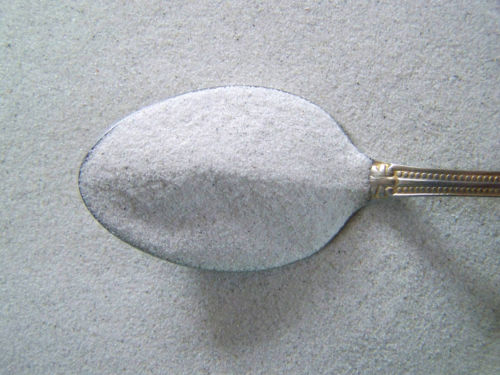 The sand has been tested to be over 99% quartz. 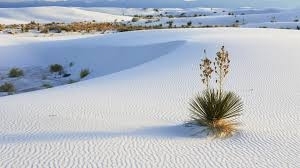 John Hudson recommended the finest grained white sand one could find, where nothing was growing at all in the desert. It must be crushed fine if it is not already fine. Siesta Beach has an impressive reputation: It’s known as a place where a concentration of energy maximizes the ability to heal physically and emotionally. The credit goes to the qualities of the beach’s sand. The legend is that the presence offshore of quartz crystals may be derived from the ancient mythical city of Atlantis. Some healers point to a decades-old, well-canopied tree, surrounded by heavy grass growth and growing about 60 feet from the coast, as an indication of the beach’s metaphysical vitality. Others talk of a mysterious protection from hurricanes that they credit to either Indian blessings or a vortex of energy they say exists near the rumored Atlantis crystal location. Whatever the reasons, Siesta Beach is growing in the reverence it receives among people who consider themselves “energy healers” or shamans, and its reputation for healing power stretches even to Peru. The belief in Siesta Beach’s concentration of energy has at least some scientific roots that can be documented, and it has to do with Siesta’s sand. Whiter than the sand at any other beach in the area, Siesta’s sand is also known for its relative coolness even on the hottest of days. Those qualities are derived from the content of sand, which is indeed unique from any other beach in the world Siesta sand is 99.9 percent quartz. This makes the sand appear very white. And because of the way the crystals have been worn down, the sand is exceptionally soft. You also won’t find much particulate shell matter. Siesta’s sand originated thousands of years ago from the Appalachian area. That fact is significant to energy healers because of their deep belief that quartz is itself a healing material, especially quartz derived from the area near Hot Springs, Ark. Quartz crystal is a natural conductor of energy, Many healers frequently choose Siesta Beach as the site for meditation events because of the energy they feel is concentrated there. Quartz is one of the highest vibratory minerals of the earth. And we are mineral-based; we’re made up of the same elements the earth is made of, so you could take somebody who knows nothing about quartz or crystals or elements, have them lie down on the quartz crystal sand of Siesta Beach on a beautiful day and the elements in their body the molecular structure in their body will resonate with the quartz in that sand. In conclusion, we could summarize that quartz crystals are truly unique. There is no question that they can learn and reproduce simple, yet powerful patterns, as demonstrated by today’s digital technology. Recent work has also proven the validity of using quartz crystals to promote holistic health. While in some circumstances it might be argued that quartz crystals are magical, the power behind quartz crystals has been amply demonstrated using sound science. Now if you have ever wondered why we feel so transformed and revitalized after the Siesta key beach, now you know, there is real energy in the sand beneath you. On Siesta Key beach the crystal sand beneath your feet is vibrating and amplifying your own energy and connecting the soul of the earth to your own soul.